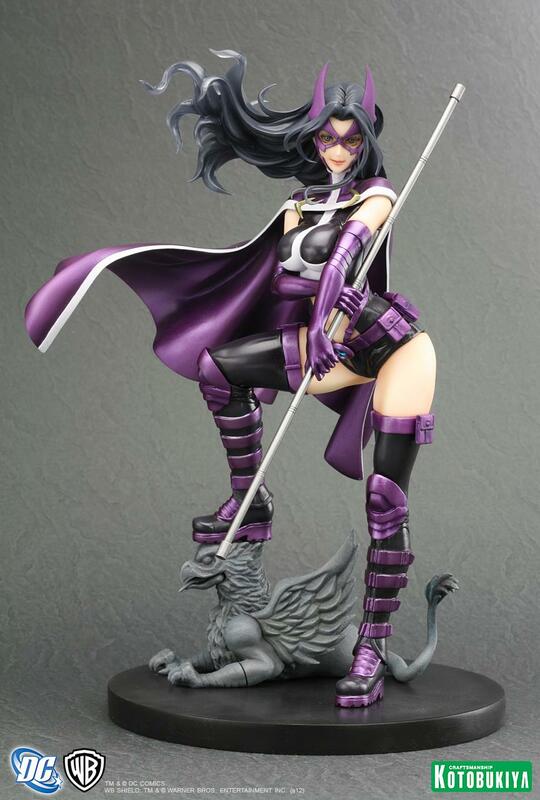 From out the shadows of Gotham comes the Huntress bishoujo statue from Kotobukiya. Standing on a rooftop with her boot perched on a gargoyle statue, Huntress looks over the dark city of Gotham for criminals to bring to justice. Throughout the charater’s history at DC comics, Huntress has always been the dark beauty of the night. The original heroic version of the character was Helena Wayne, the daughter of Bruce Wayne and Selina Kyle of Earth 2. The second version was Helena Bertinelli, the vengeful daughter of a stricken-down mob boss. The Huntress has been a popular character in all of her incarnations, and she continues to be one of DC comics’ most alluring characters. This beautiful statue is designed by Shunya Yamashita and sculpted by Masahiro Takashi. The Huntress statue is ready to patrol your collection shelves!